You already know that you’ll need the help of a family attorney in Conroe, TX, if you’re planning a divorce or seeking child custody. But did you know that family law attorneys can also assist families who wish to adopt ? Adoption involves much more than opening your home and heart to a child in need. It’s also a legal process that requires the expertise of a family law attorney. When you consult an attorney about adoption, he or she can inform you of all applicable laws and regulations. Your family attorney can also provide a basic overview of the adoption process and what you can expect from each step. Family law attorneys may recommend local adoption agencies and help you understand the different types of adoption. You can rely on your attorney to thoroughly prepare you for any court hearings you may attend and to represent your family in court. Sometimes legal complications arise, such as if the birth parents have a change of heart about giving up the child for adoption. If there are any unexpected bumps in the road, then your attorney will be there to help you. Hiring a divorce lawyer serving The Woodlands requires more planning than simply selecting a name from a phone book. The right attorney will thoroughly prepare you for the hearing or help you explore alternatives to a formal trial. He or she will serve as your legal advocate and function to protect your best interests. Before you hire a divorce lawyer , you’ll need to meet with him or her to discuss your case and ask any questions you may have. It’s always wise to write down a few questions prior to arriving for your first consultation with a divorce lawyer. If a divorce lawyer is highly recommended by your friends or family members, then you’ll need to schedule a brief appointment before hiring him or her. Be sure to ask if the family attorney charges a consultation fee for the appointment. Some divorce lawyers offer initial consultations free of charge. Others can charge over $500 each. When you go to the law office, bring along any relevant paperwork, such as a copy of a prenuptial agreement if you have one as well as any pleadings which may have been served upon you by your spouse’s lawyer. 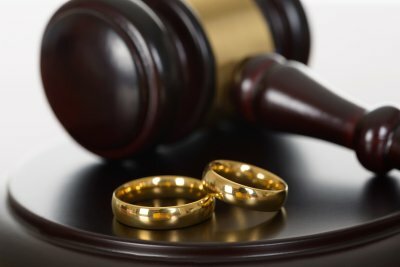 You can expect the divorce lawyer to ask you some questions about your case and your goals for the outcome of the divorce. For example, would you like to pursue physical custody of the children, and do you plan to seek spousal support? In turn, you’ll have the opportunity to ask the lawyer a few questions. Since your time is limited, make such questions count. You can ask how much experience the lawyer has handling divorce cases and how the lawyer might approach your case. What is his or her governing philosophy in general? You can also ask about the lawyer’s views regarding the advisibility an agreed or uncontested divorce. Before you leave the law office, make sure you understand how the logistics of your case will be handled, and the expected time frame. Discuss arrangements such as the lawyer’s fee structure, how often you’ll be contacted with updates, and who you should call if you have questions later on. After your consultation, take a few minutes to evaluate the information you received and the first impression the lawyer made. Although choosing a lawyer with experience is a must, it’s critical to select a lawyer with whom you feel comfortable discussing highly personal, sensitive matters. A world-famous lawyer who you cannot communicate with is much worse than the average Joe six-pack lawyer with whom you can both communicate and feel comfortable. Hire a divorce lawyer who will treat you with the compassion and respect you deserve during a difficult time in your life. A child support lawyer should help you explore all aspects of family law in The Woodlands that apply to your particular situation. For example, your family law attorney can help you seek child custody and, once you are established as the custodial parent , your family law attorney can further help you petition for child support payments. Child support is based on the idea that both of the child’s biological parents are financially responsible for meeting the child’s needs. Indeed, the obligation to support your children is found in the Texas Constitution. 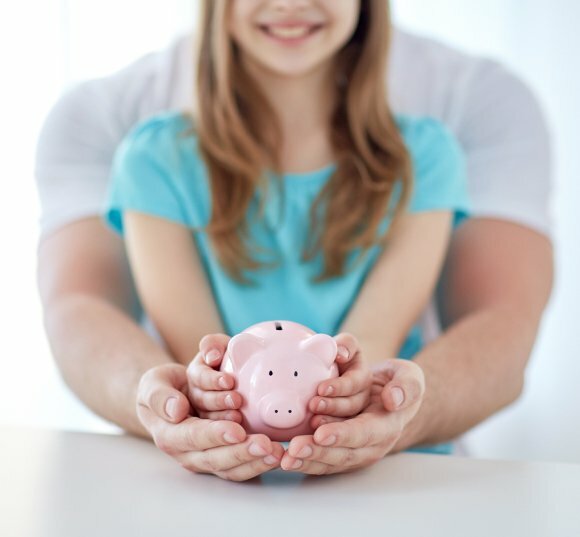 Child support is intended to go toward the cost of the child’s housing, education, medical care, food, and other necessities. When you watch this video, you will learn more about the basics of child support and family law. This expert explains that child support guidelines vary from state to state. Wisely, he ultimately urges viewers to get in touch with a family attorney for case-specific guidance. Generally, it is preferable that both parents work together to develop a mutually agreeable plan of conservatorship or custody. This collaborative approach, which minimizes conflict, may be facilitated by a family law attorney . Nevertheless, when parents cannot come to an agreement, the court will establish child custody arrangements. As your divorce lawyer serving The Woodlands can advise you, the judge will make a decision based on what he or she feels is in the child’s best interests. In some cases, one parent may have significant problems such as a history of child neglect or drug abuse. Such issues can prompt a judge to grant custody to the other parent. However, in many cases, there are other subtle factors, such as the stability of the family home, which may also have a large influence on the judge’s decision. Some family law experts suggest that judges are often influenced by the residency of each parent. This means that child custody may be more likely to be granted to the parent who will continue living in the family home. Similarly, a parent who has obtained custody of the minor children may be more likely to be awarded the family home in connection with a divorce. Attorneys will generally advise clients not to move out of the family home if custody will be at issue. However, if you have moved out of the family home, your family law attorney may advise you to arrange for permanent housing as quickly as possible, to demonstrate stability. Arranging for permanent housing in close proximity to the children’s schools, whenever possible, is ideal. In family court, allegations made by the parents are often of a “he said, she said” nature. To substantiate your case, your family attorney may offer evidence that you have a history of cooperating with the other parent or that the other parent has a history of non-cooperation, or even a history of using derogatory language about you in front of the child. 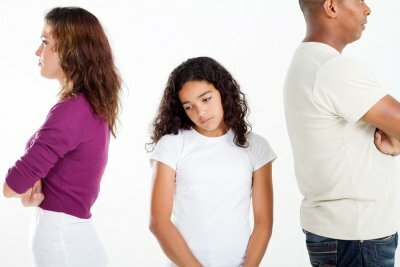 Oftentimes, a family court judge might award child custody to the parent who is most likely to cooperate with the other parent and who tries to preserve the child’s relationship with the other parent. All children need stability and continuity for their healthy socio-emotional development. Since a divorce significantly changes a child’s life, the judges try to minimize its effects as much as possible. If one parent has been primarily caring for the children while the divorce case was pending, that parent may be more likely to be awarded custody. If you see a divorce coming, it is wise to establish yourself as the child’s primary caregiver in the months leading up to the filing.